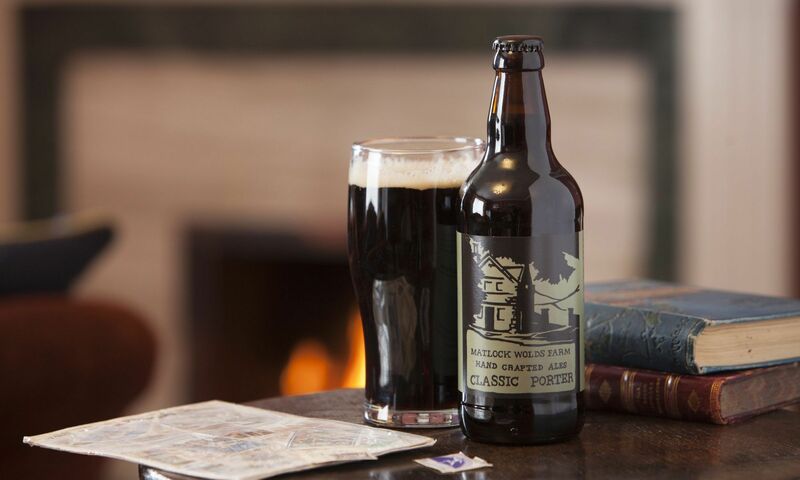 Matlock Wolds Farm Brewery is a family run business opened in 2014. Started by supplying a few bottles to the local newsagents, we now supply many places in the Derbyshire Dales. We have a regular offering of seven beers. These range from our best-selling Riber Gold, a refreshing golden ale, to our award-winning rich, dark Classic Porter. Father and son brewing duo use a world-wide range of hops and malts to keep their beers interesting. We make use of traditional hops such as English Fuggles and Goldings for The Bitter End or noble hops Tettnang and Saaz for Riber Gold. We also make use of bold American hops with Cascade, Chinook and Citra going into 100CC. Our brewery is in the picturesque spa town of Matlock, high up on the northern slopes of the Derwent Valley. The brewing kit is housed in a formerly disused wooden farm building which was starting to fall into disrepair and is a reminder of what was once the operational Wolds Farm. We’re perfectly placed for customers across Derbyshire, Nottinghamshire and South Yorkshire!